At Able Glaze UK, we specialise in all types of glass, glazing services from boarding and glazing to double glazing repair. 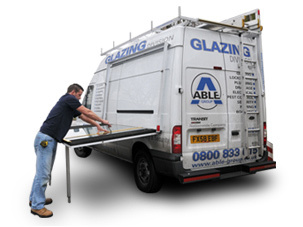 With thousands of satisfied customers across the whole of the country, Able Glaze offers a glazing and boarding service that is second to none. At Able Emergency Glaziers we pride ourselves as being one of the areas largest 24 Hour emergency glazing and boarding businesses because of our professional and affordable glass glazing services. With emergency glaziers throughout your local area, we are ready and prepared to handle any type of emergency and non-urgent glass glazing services you may find yourself requiring, 24 Hours a day, 365 Days a year.